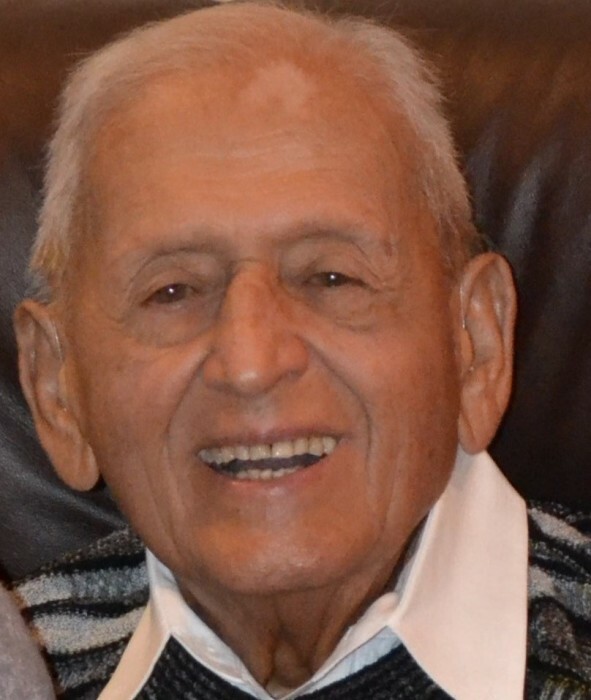 Nicholas “Nick” George Milonas of Viera, Florida passed away on April 3, 2019 with his wife, Anne Cope and children by his side. Nick was born in Manhattan, New York on March 9, 1930. His early years were spent working in his family’s diner before and after school. Upon graduation, he enlisted in the army, serving two years during the Korean War. At the urging of a family friend, Nick attended Post University, majoring in Business Administration. Later, he applied for a position with Grumman after the famous speech by John F. Kennedy, challenging America to reach the moon. As a business administrator with Grumman, Nick took great pride in his work on the Lunar Module. He transferred to Florida in 1996 where he remained until he retired after 41 years with Grumman. He lived in Satellite Beach for a number of years and subsequently settled in Viera. Nick loved to sail and belonged to the Power Squadron for many years. He was an avid painter and best of all loved to dance with Anne every chance they got. Nick was preceded in death by his parents, George and Irene Milonas, his brother Michael; sisters Anna, Helen, and Chris. Nick is survived by his wife, Anne Cope Milonas, Viera, FL; his children Greg Milonas (Stacey), Long Island, NY; and Alisa Vasaturo (Joseph); sister Margaret Terranova (Tony) Long Island, NY; step-children Gregory Cope (Julie), Merritt Island, FL; Teresa Rodrigues (Mario), Royal Palm Beach, FL; Jason Cope (Rosanna), Merritt Island, FL; and his grandchildren, Nicole, Aristides, Efrosini, Serena, Isabella, Maddison, Jaxon, and Gabriel.